Well, it's official!!! this is the last day of 2011!!! Can you believe it? Where did this year go? I know!! I know!! To new friendships... new experiences.. lots lots lots and I mean lots of photographs (mostly bad ones!!!hehehehe!!! ), new interests!!! If you've asked me one year ago, if any of this could be happening I'd definitely say no!! 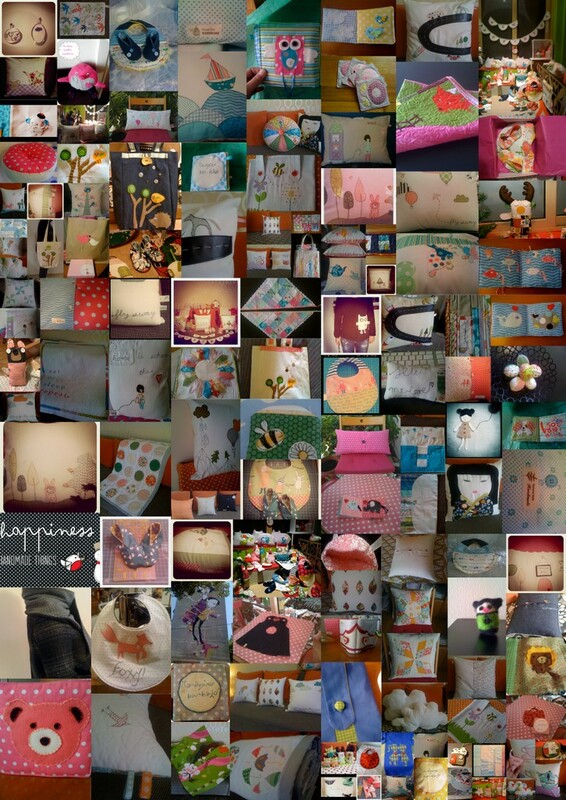 The choice of starting blogging and sewing was an impulse that turned out to be MOST important in my life!! I'd never imagined that I could find so many wonderful people who would surround me with their love, and their support!! And of course I'd never imagined that in my 36 years I'd decide to change my whole life theory..and maybe try to pursuit a dream!!! This is all because of YOU and I mean it!!! Your sweet comments, your ever ending support is what keeps this engine going!! So 2011 has been the MOST COLORFUL year EVER!!! Full of sewing, full of mistakes (gosh I love my seam ripper)full of new learnings and full of creativity!!! It has been so productive, I've only discovered it myself today when I put together a mosaic of what I've made this year!! It's overwhelming!! If you think that a year ago, I had no idea of sewing...mmm maybe a button or so!! but definitely not quilting, embroidering, even gift wrapping!! or digital scrapbooking!!! Thank you for opening a whole new world for me!!! Here's to ANOTHER EVEN more creative year!!! I wish you all the best for the new year for you and your loved ones!!! See you all in 2012!!!! Wishing you a Happy New Year girl! I am sure the best is yet to come! You've made such a long way in just 1 year.Go on,it can always get better!